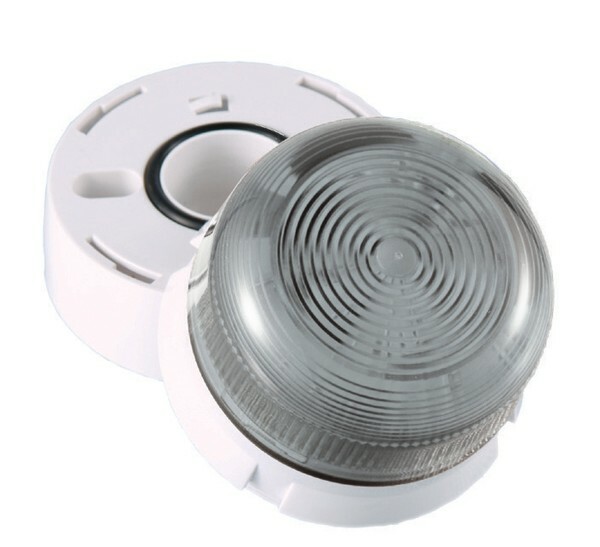 45 Series Xenon beacons are visual indicators suitable for use in indoor and outdoor applications. All 45 Series beacons are fitted with a diffuser for greater visibility and spread of light. Two styles are available, Standard and Low Profile. Low Profile: comes complete with a screw and nylon wing nut and is supplied with mounting gasket and 40cm of cable. An upgrade kit (with cable connector) is available to upgrade the standard beacon from IP65 rating to IP67.